Those who don't have a mobile number registered with Aadhaar or don't use the same number anymore will have to visit nearest Update Centre, UIDAI said. Mobile number registered with Aadhaar is mandatory to update information online. Did you know you can update your Aadhaar details online? The UIDAI or Unique Identification Authority of India, the nodal agency body that manages biometric identification system Aadhaar, has come out with instructions on how you can update details - name, address, date of birth (DoB), gender, mobile and email - on your Aadhaar. Aadhaar is a 12-digit number issued by UIDAI based on the demographic and biometric information of the person. The mobile number registered with Aadhaar is mandatory to update information online, the Authority said. UIDAI has given a set of instructions on how you can update your Aadhaar details online, according to its website - uidai.gov.in. 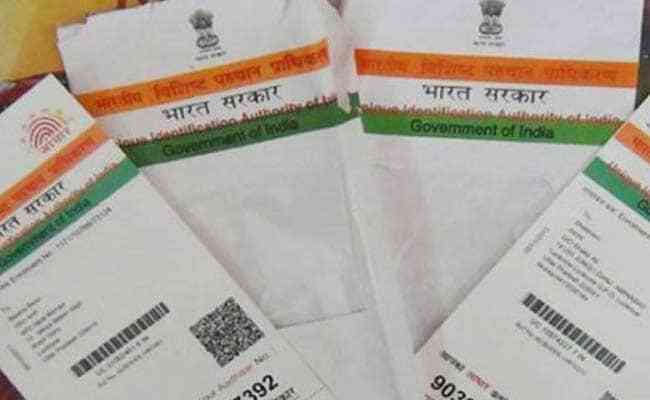 Making changes to Aadhaar details using the UIDAI portal requires the registered mobile number - this is the number provided at the time of enrolment or updated subsequently. 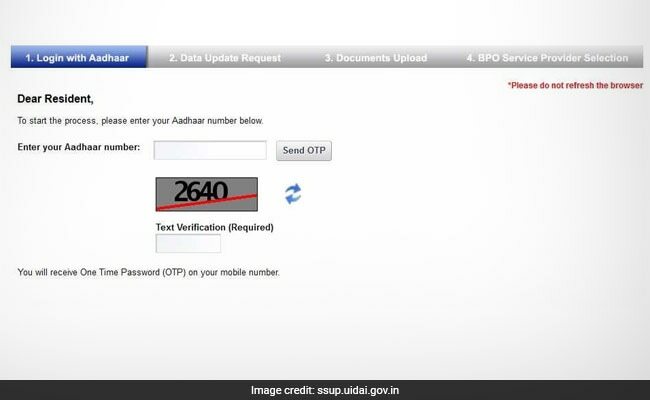 Once you're on the Aadhaar Self Service Update Portal, enter your Aadhaar number to receive an OTP or One-Time Pin on your registered mobile number. Use the OTP to proceed and hit 'Login' to the next page on the portal. On the next page, the facility asks you to select multiple details to be updated or corrected. Select the desired fields with the details and hit 'Submit' to proceed. Enter the information make an update and hit 'Submit Update Request'. In case of name, write "full name without salutations/titles", UIDAI added. "You can update Date of Birth from Declared to Verified only once. In case your Verified Date of Birth is incorrect in the Aadhaar letter, you can get it corrected only once." At this stage, the facility will ask you to upload original scanned (with colour scanner) copies of documents supporting the desired changes. UIDAI has given a list of Valid Documents List for this purpose. After this, the portal will ask you to review the inputs provided by you for correctness and completeness. Submit the request and note down your "Update Request Number (URN)" carefully for future reference, UIDAI added. At this stage, you can also download or print a copy of the acknowledgement receipt. UIDAI has also provided the option of making Aadhaar update requests in registered post mode. The Authority has so far issued more than 111 crore Aadhaar numbers to residents, according to its website.